We look after it all, so you can focus on building important relationships. 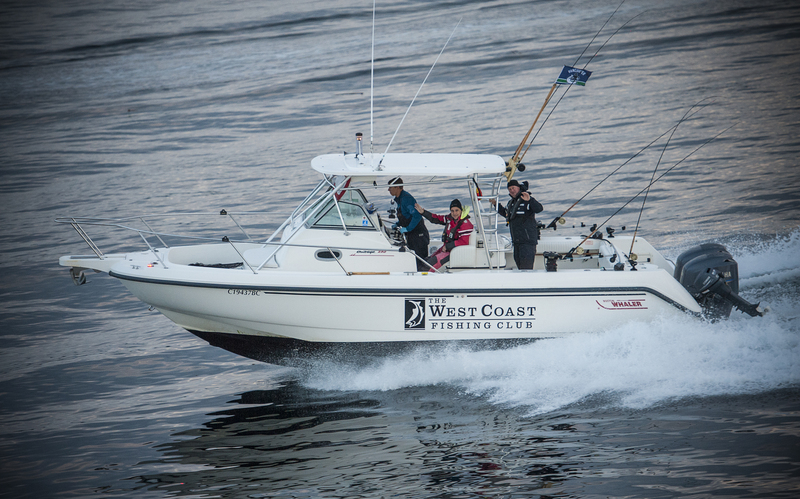 The West Coast Fishing Club was founded over 30 years ago by two business partners who recognized that trophy salmon fishing in one of Canada’s most remote and beautiful regions represents an effective form of corporate hospitality unlike any other. It’s a formula that has worked for our corporate clients ranging from boutique firms to Fortune 500 companies. There’s no better place to strengthen relationships than on the water in Haida Gwaii. 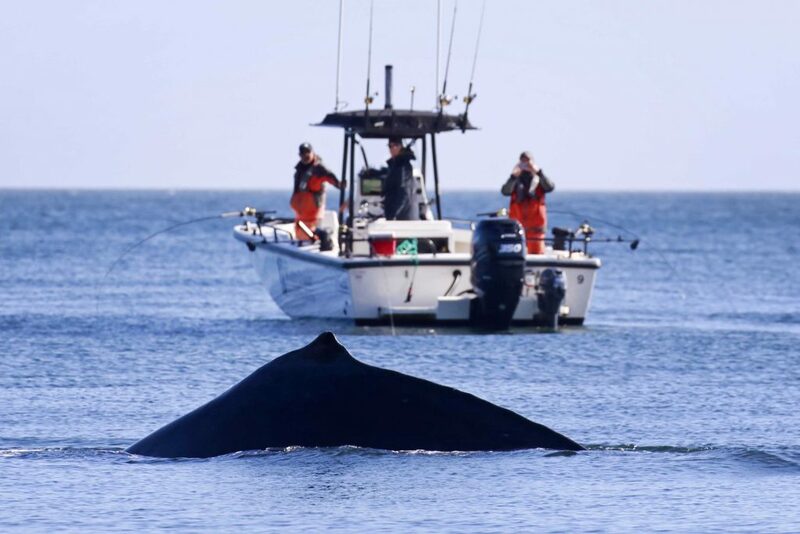 There is no better place than one where every waking moment has its wow factor – an exhilarating salmon strike, a whale breaching, a culinary work of art at dinner, or a mystical seascape at dawn. We invite you to create lasting memories for the important people in your business with an experience far beyond their wildest imaginations. 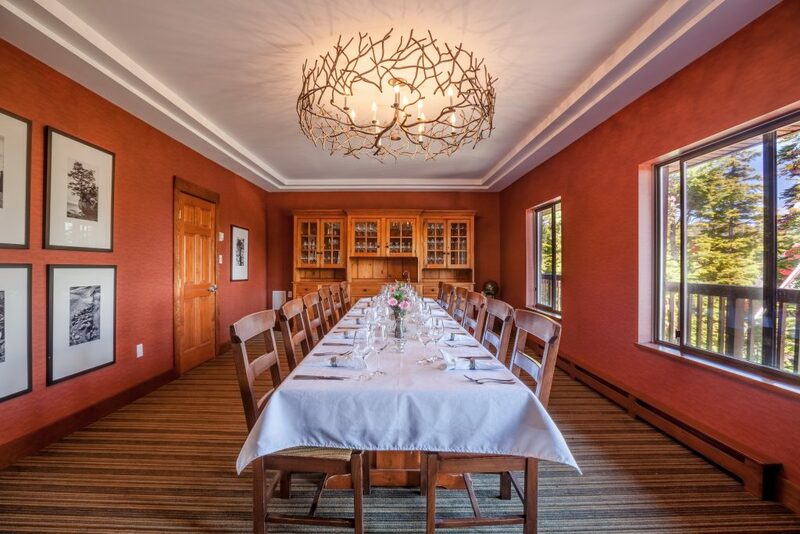 The Clubhouse’s Private Dining Room is the perfect way to share stories with clients and colleagues. The amount of quality, uninterrupted time on your trip out on the water or relaxing around the lodge is unique to any other type of retreat experience. Enjoy whale watching and wildlife tours with colleagues. WHY BOOK WCFC FOR YOUR CORPORATE GROUP? • Responsive Client Services Team. Our team is available during the day, evenings and on weekends to address your needs. We can assist in booking your hotel, dining and transportation needs pre- and post-trip including preferred hotel and Aerocar rates. • Presentation and Meeting Facilities. Private meeting rooms are available along with audio visual equipment. 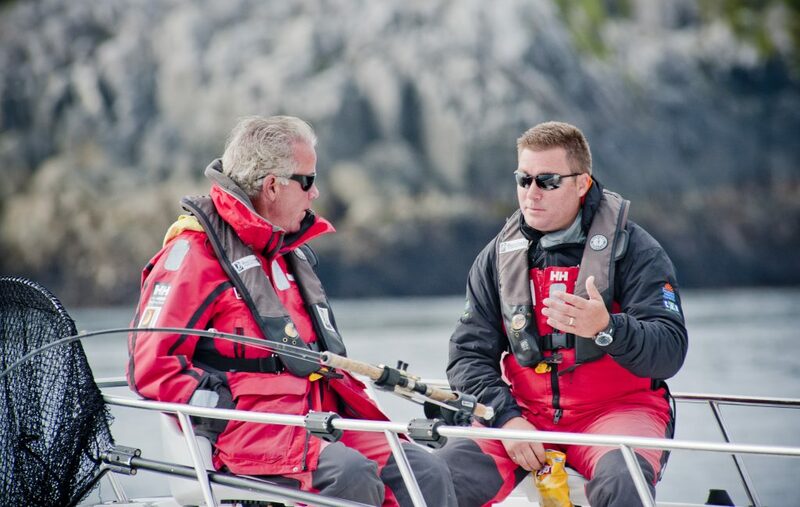 Entertain clients in the comforts of our Boston Whaler fleet. Our 2019 season is booking quickly! Contact us today to start planning your corporate adventure.